The purpose of a Foosball Table Cover is to cover the table and protect it from dust, dirt, and moisture. Having this protective covering over your table when it is not in use will help in extending the life of your table. Purchasing a cover for any foosball table has to be carefully done, as you may buy a cover that is not the right fit. If you want to buy a brand cover that is specifically made for your table then going online for the dealer is the way to go. Wanting to buy just a cover that will suit your needs takes some detailed search. If you want to check for other accessories click here. Because the manufacturers of Foosball Tables do not have the packaging of the table, a cover, it is incumbent on the table owner to make such a purchase. Making the right purchase for your foosball table cover you need to take some things into consideration. 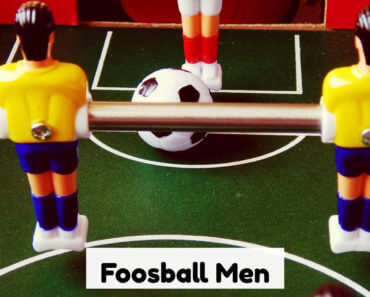 The dimensions of your foosball table are very important to know. If making your table cover purchase online you may want to look at the reviews from various customers who have purchased the particular brand. It is a way of determining if the brand is for you or what you want. Not because the package says Universal size it will work for your foosball table. Some customers have experienced disappointments from blindly buying a cover without investigating its merits or lack thereof. Custom covers are also a choice, but these will cost you quite a bit. They are stronger and are generally lightweight and durable. 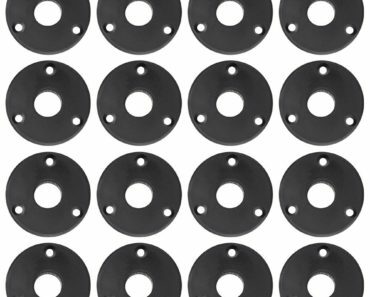 The material used to make these covers will give your table the level of protection you need. You will want to consider the material which is used to make the foosball table cover overall before making your purchase. There are three types of materials used in making covers and having some information on them is really important. Whatever the material used in making these table covers the needed use is what is important. Investing in a foosball table is quite a venture and especially if it is an expensive table, you need to ensure you have long-term use of this investment. Rough play is one way of causing wear and tear on a foosball table, so it is always needful for owners to examine the tables after every session of play to ensure the many parts are in 100% top shape for the next round of games. Likewise, you have to ensure you keep the table secure from the elements. Dust, debris, pet dander, and moisture are just some of the many factors that will ruin a good foosball table surface. Covering the table is the only way you are sure to protect it from these situations. Moisture, whether spilled drink or outdoor moisture like rain or dew coming in contact with the table surface will ruin it. It is advised to cover your table after each use and before putting it away. If the table is staying outdoors, it is absolutely important to have a good foosball table cover that will protect all areas of the table. There are some covers which manufacturers have designed that will cover the entire table, from table top to the full length of the legs and it goes over the rods and drape all the way down. This style cover is ideal for an outdoor table. Some covers are made with slots to go over the rods. This leaves the rods exposed and the legs as well; it drapes partway down. 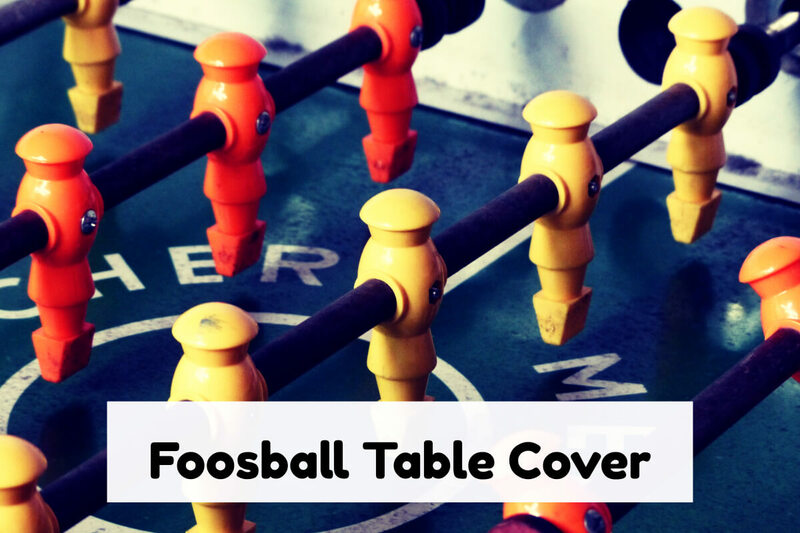 These types of covers are more suited for indoor foosball tables and will protect from dust, dirt and pet dander. It may not be the ideal cover but at least your table is protected. Other table covers are made without the slots to go over the rods and completely cover the table as well as the rods. You may find this type of cover to be more suited for your table, especially if you want to fold it and put it away. It will protect the table without moving out of place. Because the measurements are a bit larger than your foosball table measurement, it is important to understand the general rule of purchasing a foosball table cover, which is for the protection of your table. The cost for these covers may run you in the price range of $15-$20 depending on what you like. For custom made covers you may have to pay a steep $70 or more which will give you the benefit of a more durable cover. 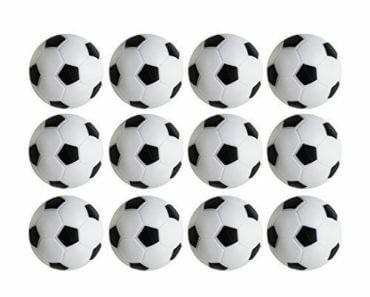 The material and design will determine the general cost, as most foosball table covers are made from polyester of different grades and the manufacturers’ will generally determine design to fit the type or brand table they are targeting. Protection of your foosball table is an investment in itself and owning a table will mean lots of care. 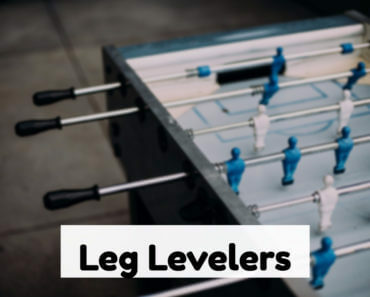 Professionals will tell you, having a foosball table is like caring for a member of the family, as you are investing in the many days of fun you are anticipating to have to play the game. Before getting a foosball table do, do some homework; and get as much information which will help with your decision. If you are not willing to pour the amount of dedication to a table, then you may want to consider not buying a very expensive one. With all the information you have, without investing in a good foosball table cover which is one of the best things you may choose to buy, owning a foosball table will not be much benefit to you over time.